Holiday can be a stressful time even for those who have a rock-solid constitution. For most of us, we fail to acknowledge the increase in stress levels that the holidays can bring to our aging family member. Seniors can also experience holiday depression which can emotionally complicate things. Fortunately, there are a few things you can bear in mind to reduce the stress imposed among your beloved seniors. Seniors experience holiday burnout earlier than others. Keeping an ample time for them to rest and recover between activities is important to maintain a healthy level of engagement. Include them in activities that are appropriate for their age and ability to participate. However, for seniors who need more companionship, respite care can be beneficial to you. They can engage in stimulating activities or so, especially if they have cognitive disabilities. 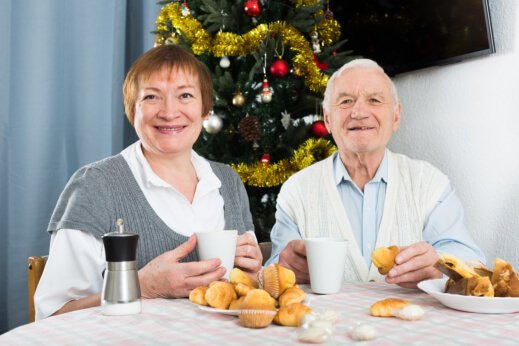 Regularity and consistency in rest and dining schedules can help seniors be composed amid the holiday stress. Make sure to plan activities around existing schedules for some stapled activities. It will help them feel up-ended by the flurry of activities. Seasonal depression can hit the elderly hard. Hence, it’s important that you let them feel included. Be sure to include seniors wherever it’s reasonable to do so. Encourage your family members and friends to stop by for visits. Even seniors who receive top-level home care in Bala Cynwyd, Pennsylvania need to feel included, too. For seniors with chronic illnesses, like Alzheimer’s or dementia, the holiday season can be really stressful, but they should know that they have MOG Home Health Care Services to rely on. Our medical service in Pennsylvania will help them maintain their wellness. We offer different medical practices to optimize their health. This entry was posted in Respite Care and tagged holiday depression, Home Care, medical service. Bookmark the permalink.